If you are visiting CUba, and happen to be Chevrolet Bel Air, 1957 lover, you are going just the right place, as syou can find many vintage models of Chevrolet and Russian cars parked on Cuban roads for sale. These cars can be bought for anything between $ 11,000 - 15,000. You may even sell yours, if you have any of the vintage cars. 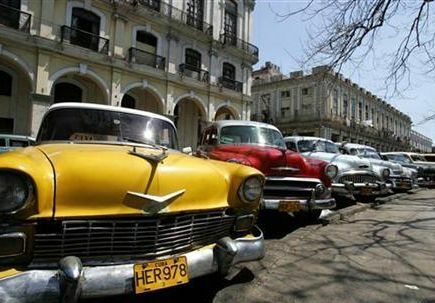 For the first time since the 1959 revolution Cubans have the right to buy and sell any car - something that was only done before with the government's 'okay' - or on the black market by illegally purchasing vehicles licensed to somebody else, reports Reuters. Rad full story for details.